These cakes were made for Rylee's bff, Hannah. 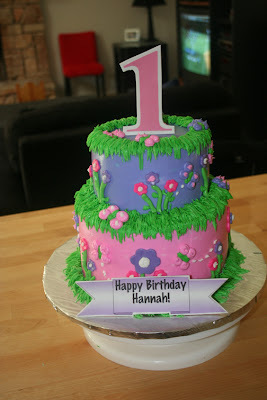 Hannah is turning 1 tomorrow and she celebrated this past weekend with her first birthday party! This was the party cake, it's a two tiered (three 8 inch and two 6 inch rounds) vanilla cake with blueberry filling and vanilla buttercream! 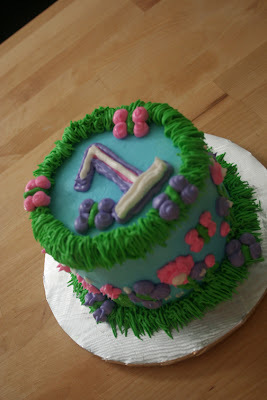 The flowers were made from marshmallow fondant and everything else (the butterflies, the grass) were buttercream. The #1 on top of the cake and the "happy birthday" message on the bottom of the cake were made from fun foam! 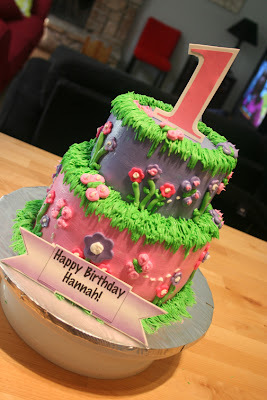 Hannah's smash cake is two 5 inch vanilla cakes with vanilla buttercream (no special filling). I didn't put any fondant on her cake as I try not to put it on cakes for kids. 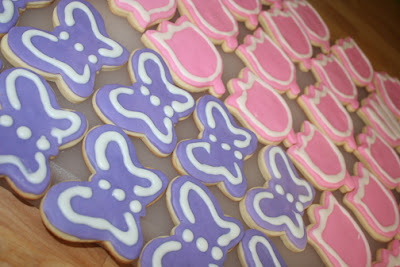 The cookies were made to match the theme of the party/invitations which was butterflies. I decided to make half butterflies, half tulips. These are NFSC (no fail sugar cookies) with rolled buttercream! Yum! These were definitely fun to make! The only problems I had came from the beginning of the cake baking process. My cakes rose really unevenly and had a bunch of cracks as well. This only happened with the 8 inch cakes though, the 6 and 5 inch cakes baked perfectly. I really need to go ahead and buy the 8 and 9 inch Magic Line pans. My sheet cake and smaller round pans are all Magic Line and I never have any trouble with those. That cake is so amazing. You are very talented! I love the pretty colors!!! I do love that she is Rylee's BFF. 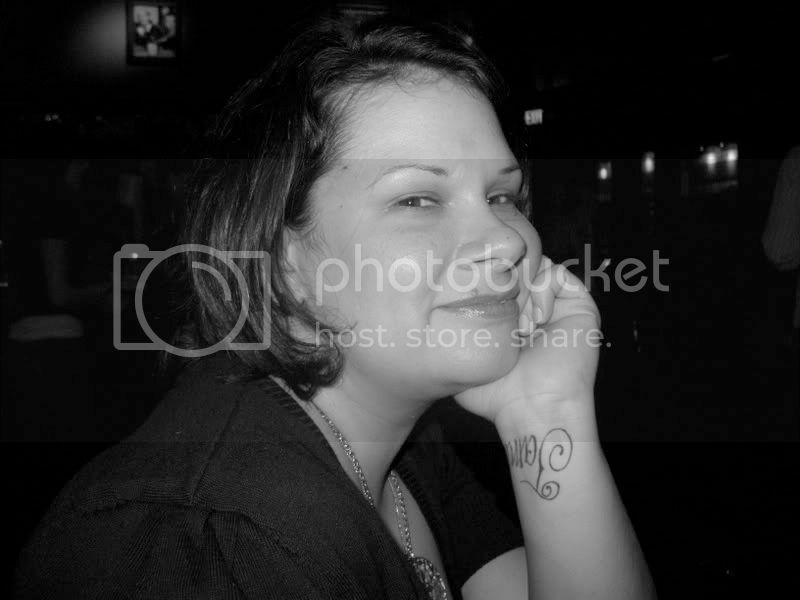 It is adorable!